hasn’t been the case with this American truck-manufacturing brand. In a 2017 survey, Mack Trucks asked its customers to identify where the company could improve and what was important to them as a customer. The results showed some drivers felt they had not received as much information about their trucks when they took delivery (the handover) as they would have liked. Homing in on this, Mack Trucks set out to improve the handover process through the development of a more consistent process, enhanced with printed and digital handover kits. Targeting a better end-to-end process on both sides of the sales desk, the handover kits are used by the salesperson as a step-by-step guide for setting up and executing the vehicle handover, while the customer components include personalized pieces targeting education in operation, features and benefits (such as warranty coverages). For both, the kits elevate the effectiveness of the onboarding process, set a foundation for a better relationship, and establish a relationship between the customer and the dealership support team — individuals in sales, parts and service — directly responsible for the sale of the truck, as well as for after-sales care and maintenance. During the truck handover — a process usually around an hour in length — the salesperson details the vehicle’s operation and answers questions the customer may have about features and benefits — the very area where the survey had shown lower ratings for some dealerships. With this in mind, Mack met with dealer sales team members who were rating much higher in customer satisfaction than colleagues and found those who were most successful had developed a more in-depth and informative handover process. For some, this included the assembly of branded materials, such as brochures and other collateral about the particular truck’s features and benefits. These efforts were shown to be at least partially responsible for higher-than-average customer ratings. After reviewing the findings of extensive research and reviewing the videos with key stakeholders, the Mack team proposed an improved process to a group of dealers and customers, and let them weigh in on what they thought would work and what wouldn’t. Based on the findings, the kits would contain many of the components the salespeople were already using — both digital content, such as links to web pages, and printed pieces — but new pieces were designed to fill identified gaps. With 87 percent of marketers in the U.S. confirming they have seen considerable improvements through personalization, and more than half experiencing a lift of more than 10 percent, Mack knew personalization would be a key feature of the kits. This was added through a partnership with Pacesetter Enterprises, Inc., a full-service print, marketing and fulfillment company based in Allentown, Pa. In 2017, Pacesetter produced a set of resources for the inaugural kits and deployed them as a 45-day pilot program across two dealer groups, encompassing seven locations. During the pilot, about 100 trucks were delivered and the handover processes evaluated. Feedback from both the dealerships and customers was gathered, reviewed internally and then refined. Revised materials were created in three languages — English, French and Spanish — and hand-delivered to dealers in September 2017. Each participating dealership received training on how to order, how to use and how to benefit their customers using the kits. Less than a year since the rollout, Mack Trucks’ kits are now used in 97 locations, and 10 more were scheduled for adoption before the end of 2018. Initially manufacturing trolleys, buses and trucks, Mack Brothers Company was an early entry in the large-vehicle manufacturing industry. Founded in Brooklyn, N.Y., in 1900, the company delivered its first vehicle — the Mack bus — later that year, and its first truck under the new brand of Mack Trucks in 1922. One of the largest manufacturers of Class 8 trucks, Mack Trucks also manufacturers engines and transmissions sold and serviced in more than 45 countries. In 2001, Mack Trucks became a subsidiary of AB Volvo, one of the world’s leading manufacturers of trucks, buses, construction equipment, and marine and industrial engines. 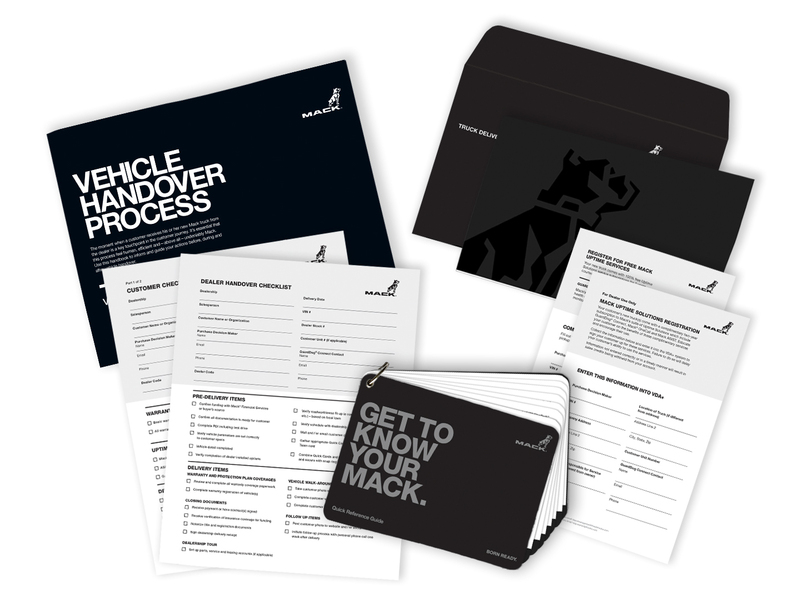 As the marketing organization for Mack Trucks, the department behind the new handover kits is tasked with building customer awareness, interest and consideration of Mack products and services. They identify potential buyers and help move them through the sales funnel, measuring their level of engagement and self-identification along the way — a practice reportedly used by 68 percent of marketers to qualify prospects from one stage to the next. Once the buyer demonstrates sufficient consideration, based upon an established scoring threshold, they’re designated as a qualified lead and turned over to a Mack dealer for follow-up. Zona crafted an RFP to establish a vendor partnership, under which the kits would be created and fulfilled. “A lot of the type of content we needed for the kits was already being provided to the operators in a digital format, but giving them a physical product was shown in our research to be important. We feel the same as the customers — there’s just something about high-quality printed materials that enhances an experience such as this,” said Zona. Though the sales team had access to a great deal of marketing and dealership pre-printed materials, the task of choosing pieces and assembling them fell to the salesperson. If the kits were to be improved, new pieces would need to be designed especially for print-on-demand personalization, such as the truck handover invitation and the “Meet Your Team” card with photos of actual individuals responsible for the sales process and the servicing of the truck at the dealership. Other pieces, such as quick-start guides for the model vehicle’s operation were also developed, but these could be offset-printed and warehoused for fulfillment. Mack Trucks recognized Pacesetter’s competitive position and the forward-thinking it displayed in helping to modify the RFP to ensure responses from it and other candidates would result in a system capable of delivering on Mack Trucks’ goals of ease of use, improving customer satisfaction and establishing brand loyalty. In the second phase, though Pacesetter has a design department, it received all assets from Mack Trucks’ third-party design agency responsible for much of the larger executions. Pacesetter modified these as necessary for print-on-demand use. In the third phase, Pacesetter adapted the existing Mack Trucks online portal, from which dealerships were currently ordering branded material, to support single sign-on capability. This meant Mack Trucks’ sales team would not have to learn a new tool — instead, the kits would be available in the existing dealership portal. Modifications also were made to limit access to the kit to only those dealerships participating in the program. On the production side, design assets were loaded and tested to ensure personalization worked correctly and the system functioned as desired. 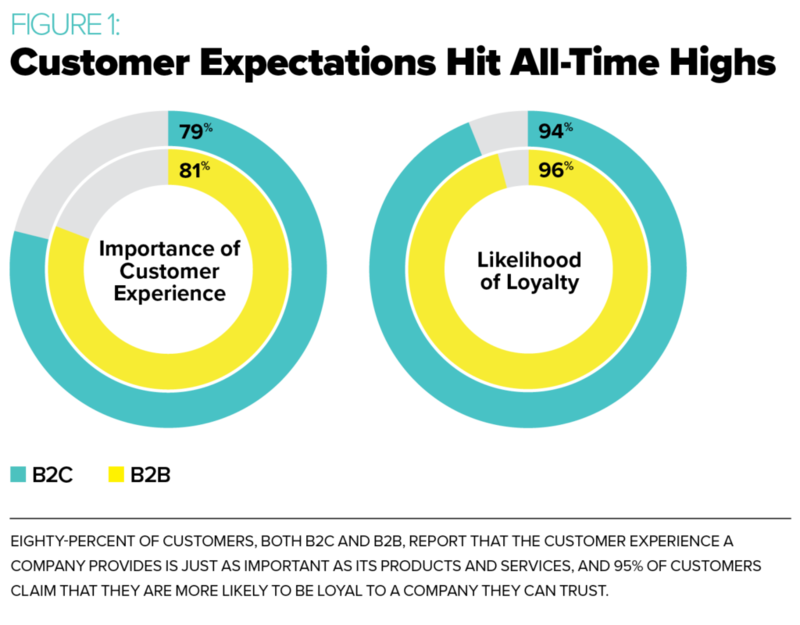 Since launch, areas for improvement have been identified and new content developed, all while increasing participation within the dealership program. The handover kits have improved the onboarding process by assisting the salesperson in setting up and executing the handover process, while providing the customer with personalized pieces targeting education in operation, features and benefits. Mack Trucks first notified the dealerships during a corporate summit in September of 2017 and invited them to enroll. By November, several dealers had signed on, and the system went live in early 2018. Less than a year later, of Mack Trucks’ 434 dealerships (called “rooftops” in the industry), 95 have received training in the handover program — a 21.9 percent conversion rate. Mack Trucks at first struggled with engaging the dealers, but has learned the best approach is to go dealer-to-dealer, sit down with them and run them through the tools — answering questions not just about the kits, but helping with their marketing strategies, in general. Dealerships can get help with social media, search engine optimization or any other sales enablement and marketing-related issues they may be experiencing. Using the online portal, a Mack Trucks’ salesperson logs in from the dealership and navigates to the kit-ordering options. After completing required fields, such as those used for the personalization and identification of the model and the customer, Pacesetter prints, personalizes, compiles and delivers completed kits in batches of 25 to the dealership. The salesperson uses the guide, which details preparation to follow-up and everything in between. Starting with a call to schedule delivery acceptance, the salesperson is guided through the individual processes for handling paperwork, explaining the benefits of Mack Connect (a monitoring, support and response system for the truck), providing the dealership tour, guiding the truck walkaround and following up with calls at one week, two weeks, three months, six months and one year after purchase. 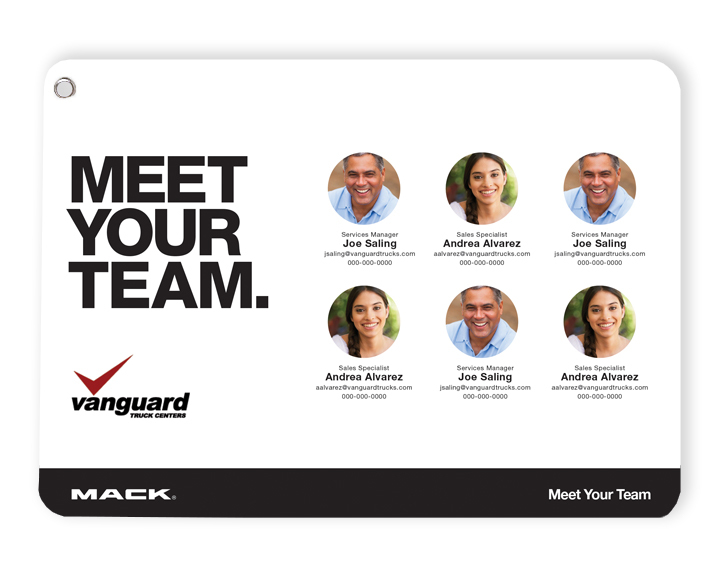 The handover kits include a personalized “Meet Your Team” card so truck operators know exactly who’s on their dealership support team — individuals in sales, parts and service. In a strong return of surveys conducted within 48 hours of taking possession, Mack Trucks analyzed feedback from the operators looking for indicators the kits were influencing his or her opinion of the handover process, as well as of Mack Trucks, as a brand. With the program in its early stages, Mack Trucks won’t see KPIs and quantifiable goals for another year or so. This is due to the fact that the typical buying cycle for a truck is three years, but Pacesetter is getting positive feedback from the salespeople with whom they interact while supporting the use of the portal.